The non-profit F+U Group of Companies is one of the largest private education providers in Germany. It has centres throughout the Federal Republic as well as in other European countries and cooperates with state and private education providers all over the world. In the capital city of Berlin, F+U specialises in professional and continuing further education, as well as commercial retraining and qualifications. 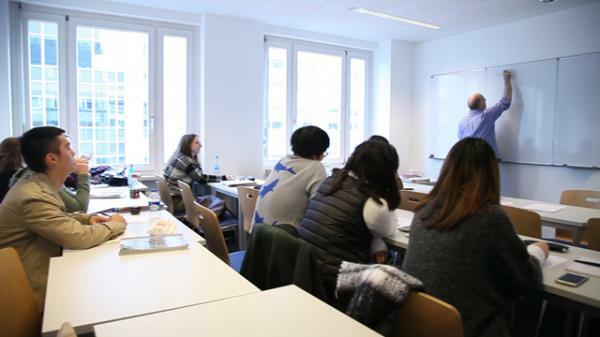 Since 2013, the F+U Academy Of Languages Berlin has further developed this range of programmes with the introduction of academically demanding language and computer courses of an international calibre. The Berlin school is thereby continuing a tradition first begun in 1980 in the romantic Neckar city of Heidelberg. The original F+U language school, the Academy Of Languages Heidelberg welcomes over 10,000 learners and examination candidates from over 100 countries every year and is one of the largest and most successful language schools in Germany. Its Berlin branch does not yield to it as ongoing courses and invites students to improve their German language! Hostel, shared apartments, private apartments, host families are available. Our private apartments consist of one to three bedrooms, a fully equipped kitchenette and an en suite private bathroom. Wi-Fi can usually be accessed free of charge. Coin-operated washing machines or nearby launderettes are available. Booking of a multi-room apartment is only possible for groups with joint arrival and departure. For bookings of two or more people accommodation is usually in double rooms. The public transport journey time to school is 50 minutes at the most.